Having been born into a family of Spurs fans that have followed Tottenham from since before the First World War (I joined in a little later!) and having grown up on the Shelf at WHL, I retired a few years back (at a very early age) and moved to India, living high in the Niligris Hills, even if it means following the team at 4am. 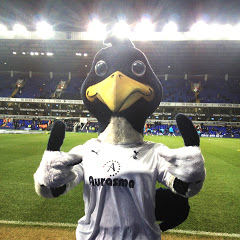 I enjoy sharing my passion for the club via my scribbles with Spurs fans in this country and around the world. I've produced a vast array of articles covering every aspect of the Wonderful World of Hotspur. I'm sure you will find something you like, to help you I've divided the archive into various sections, which are updated regularly. Feel free to contact me via the links below.